When I got back from Europe in September last year, I went through my usual grieving process: one minute I was walking round Goethe’s house and sipping tea in a chandelier-bedecked café in Frankfurt and, seemingly the next, I was in a yellow cab in Melbourne on my way home, Dave Hughes’ unmistakeably strident tones issuing forth from the radio, the front page of the Herald Sun screaming all things footy and, outside, Beach Road fringed with palm trees. It’s always a bit of a wrench going from one world to the other, from my former, still parallel life in England were I ever to reclaim it, to my ‘new’ life here. A bit like those early settlers I read about in the Tasmanian Museum and Art Gallery, I have held onto bits and pieces from my original home and country as part of the re-settling process here. But at what stage does the new life cease to be new? I think, in my case, it’s probably already happened. And any newness is simply a figure of speech and a way of distinguishing my life before and after my move to Australia. I’ve now lived in my Bayside suburb for twelve years – the longest I have ever lived in one place – and it does feel like home. Apart from putting my own stamp on my house and garden, getting a dog really helped me to put down roots. I’ve got to know many people and their pooches on our daily walks on the beach or in the park, and that has created a sense of community and belonging. Bertie and I are part of the local landscape and we blend in. And we’re getting used to summer being in winter and winter being in summer. Last time I got back to Australia and was still battling the pull-push of Europe versus the Antipodes, a friend suggested I found ways to honour my inner Brit and European. Because it doesn’t have to be an either-or situation. I have, after all, chosen to live in the most European of Australia’s cities. Since then, whether consciously or subconsciously, I’ve been finding ways to stay tuned – literally – to Europe and, as a modern language graduate, to rediscover my languages. I started by joining a German Meetup Group. So far I’ve been to a fascinating film about Techno Music in Berlin in the 80s and to a Stammtisch (an informal gathering at a bar) at the Bavarian-styled Hophaus on the Southbank. And I’ve found German cuisine in the most unlikely places. Das Kaffeehaus in Castlemaine is a Viennese café complete with red leather banquettes, gilt-framed mirrors and chandeliers housed in a former carpet factory. 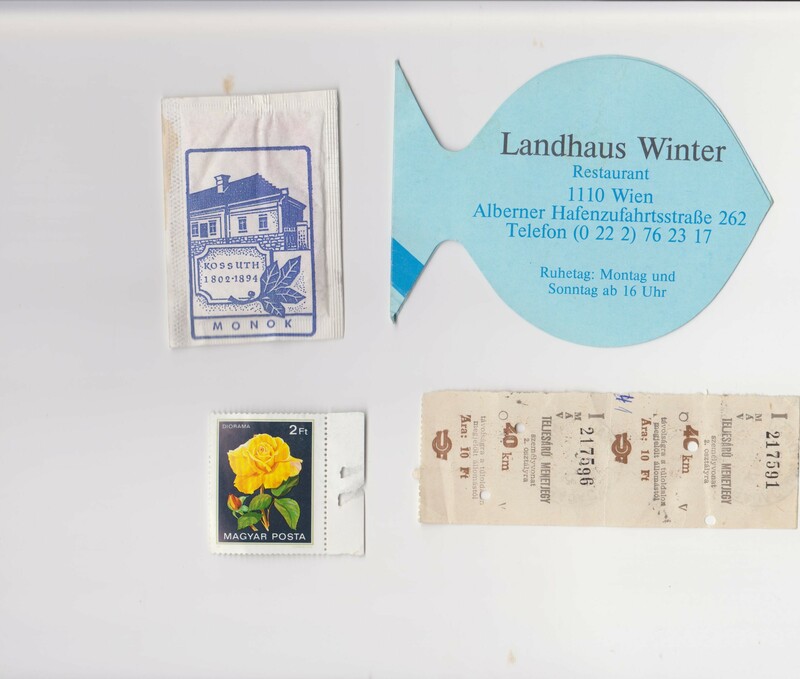 I spent five months in Vienna as an au-pair girl when I was 18, and I can vouch for the authenticity of the food – think Wiener sausages, schnitzel, goulash and sweet favourites such as Linzer Torte and apple strudel. Then there’s SBS Radio and Television, a hotline to all things multicultural and multilingual. I have downloaded the Radio App and sometimes listen to Spanish news or I download the German Radio podcasts which deliver newsy and interesting items in easily digested 10-minute bites. Listening to the spoken language, its rhythms and cadences awakens dormant neural pathways and I start to remember words, phrases and expressions. Like old friends they flood back with a welcome familiarity. Tunein Radio has been another wonderful discovery; the app allows you to listen live to different talk shows and music stations from all over the world. I love foreign language films and letting myself be transported to wherever it is. This past weekend I saw two excellent Spanish films (a rom-com set in Madrid and a quirky Mexican road movie) as part of the Spanish Film Festival. We have an embarrassment of riches when it comes to foreign language film festivals in Melbourne – French, Spanish, German, Greek, Turkish, Israeli, Russian and Latin American to name but a few, and even, last year, a BBC First British film festival showing golden oldies as well as new releases. And that’s not all. Palace Cinemas screen productions filmed live in HD from London’s Royal Opera House, La Scala, Opera Roma and the Opéra National de Paris as well as some of the best performances from the British Stage as part of the National Theatre Live program. Whoever first thought of sharing these live-filmed productions globally is a genius. So far I’ve seen heartthrob Benedict Cumberbatch in Hamlet and Royal Opera House productions of the Marriage of Figaro and La Bohème. The joy of these performances is that you get the equivalent of front row seats for a mere $20 or so and, in the case of the operas, you can read the subtitles and follow the plot with ease. Not only that, each performance is introduced by a well-known actor and he or she goes backstage and interviews the director and actors or singers. My favourite so far has been John Copley’s production of La Bohème. Originally intended to run for a few seasons in 1947, it stayed in the repertoire for forty years, the 2015 filmed performance being the last ever. The weekend before last a friend treated me to a surprise night out. It turned out to be the BBC Proms – the Last Night no less. Echoing the UK’s Albert Hall tradition, the program on the last night includes sea shanties and jingoistic numbers such as Rule Britannia and Elgar’s Jerusalem. It felt a bit strange sitting in an auditorium in Melbourne waving a dual English/Australian flag and belting out songs about Britain ruling the waves. I reflected that there are certain things you can’t export – it all becomes a bit ersatz. There’s a time and a place to celebrate your heritage and a time and a place to adhere to the old saying: When in Rome, do as the Romans. There was something incredibly endearing about the cow bells and yodelling echoing in stereo around the shuttle train at Zurich airport. With images seemingly lifted straight from the pages of Heidi flashing past the windows, it was a fitting farewell from Europe, and I loved it. I almost shed a tear in fact. At Vienna airport it was all about the opera. The first thing I saw when walking towards the baggage collection area was a section of the libretto of Strauss’ Die Fledermaus stencilled (or copied – I am not sure of the medium) across the walls. Only in Vienna, I thought. I’ve been back in Melbourne nearly three weeks now but my head is still full of Europe. I left Zurich on 18th November, just two days before the Christmas lights in the Bahnhofstrasse were officially switched on. How tantalising is that?! I could see long threads of lights hanging overhead and could only imagine how dazzling they would look on a cold winter’s night. And that’s the problem you see. It’s too light and warm over here for Christmas to feel like Christmas. It’s all wrong, upside down, topsy-turvy and back to front – at least, for those of us brought up in the Northern Hemisphere. When I first moved to Australia, I suffered acute homesickness at Christmas time. I struggled to adjust to fir trees and tinsel glittering in the sun (I was amused to see Christmas trees and mounds of look-alike snow in Federation Square this year) and days spent feasting on seafood or lying on the beach. Because I love the Christmas traditions, just as I love antique bone china cups. It’s the classicist in me. From being in denial one year about Christmas – I simply edited it out and focused on the summer holidays instead – this year I am going all out to get into the Christmas spirit. I’ve collected up all my decorations old and new and added bits and bobs from two dollar shops, Target, Op Shops and my local park. Rather than a tree, I’m spraying twigs silver to arrange in a vase including a few gum leaves (my nod towards the ‘When in Rome’ thing). Then I’ve sprayed some fir cones to dot around my book shelves. I’ve got two traditional advent calendars and a Julelysspil, one of those delightful rotary candle holders that I purchased in Copenhagen (see photo), a few reindeer and lots of candles. It’s easy to overlook the true meaning of Christmas – a time of peace, joy, celebration with family and friends, and an opportunity to rest and renew ourselves for the coming year. Whether it’s baking Christmas cakes and biscuits, singing carols, going to church or putting up the decorations, it’s about tapping into the wonder of the Christmas story and the aged-old Yuletide traditions. The origins of Christmas are actually something of a multi-layered mishmash of Pagan and Christian festivals. Yule was a Pagan midwinter festival celebrated by the Germanic and Scandinavian peoples, an excuse for feasting and revelry to break up the long winter months. Whatever spiritual or religious tradition you belong to – or don’t belong to – it’s definitely the season to be jolly, to be thankful and to have a good knees-up. Go forth and deck the halls. Holly anyone? I am very excited about going to Vienna. On a whim, before I left Melbourne, I wrote to the father of the family I au-paired for back in the 80s and, to my surprise, he replied by email. Sadly his wife died in 2009 but he still lives at the same address and his daughters, one of whom is married with children and one of whom is engaged, are both living in Vienna. I was in two minds whether to get in touch; looking after those girls wasn’t the easiest of gigs. But, thirty-odd years later, I’ve rather forgotten about the homesickness, the sometimes stifling routine and general stuffiness of a titled Viennese family and am left with a sense of gratitude that I had the experience – horsehair mattress, dumpling soup, tweedy relatives with leather-patched jackets and all. I lived pretty centrally in the 10th district where all the embassies are situated and was right near the Stadt Park with its statues of Strauss, Schubert and other well-known artists. I got a bit bored endlessly playing catch or Mr. Wolf with the children, but as far as playgrounds go, this was a pretty glamorous and stylish one. There’s something magical and majestic about the Vienna Opera House. From what I recall, it’s all gold, gilt, splendour and sumptuousness with glittering lights and sweeping staircases. It belongs to a bygone era of men in top hats and ladies in fine dresses, hats and gloves, their horse and carriage waiting outside. Talking of a bygone era, another thing on my list for my 23-hour stop in Vienna is to visit the Palais Ephrussi, one of the properties originally owned by the Ephrussi family, a wealthy Jewish banking dynasty who made their money as grain merchants in Odessa. The story of their demise at the hands of the Nazis and the fate of a family collection of 264 netsuke ( intricately carved miniature Japanese figures made of ivory), is captured in Edmund de Waal’s brilliant family memoir The Hare with the Amber Eyes (winner of the 2010 Costa Biography Award). After the war in 1945 one of the Ephrussi family returned to find the Palais Ephrussi severely damaged but their maid, Anna, had managed to save the netsuke from the Gestapo. It’s a wonderful story and told with such grace, humility and sensitivity. The building is situated opposite the Votivkirche (church) on the Ringstrasse with its imposing, imperial-style showy buildings. The Ephrussi Palace building is now owned by Austrian Casinos so is still clearly in the business of making money! I’m really no good at DIY but I am good at lists and ticking them off. Although there’s always a list forming in my head, I have been a bit less ‘listy’ of late, so it was with renewed fervour that I raced through a to-do list this week, so much so that I couldn’t stop. Life always gets a bit intense before I go overseas – I’ve got about 12 sleeps to go – and the devil is definitely in the detail. Today I tried to print off my train ticket from Vienna to Zurich (a bargain 49 Euros for a seven and a half hour scenic journey – if you can work out how to print off the ticket…). So drawing on my (rusty) university German, I called the OBB, the Austrian railway, and got through to a most charming woman. I managed to explain the problem and found out that I had chosen the pick up at the counter option rather than online printing. Everything was going swimmingly until I realised I didn’t know how to end the conversation. Luckily the woman got in before me and I remembered it’s Auf Wiederhoeren – meaning until we hear each other again – rather than Auf Wiedersehen (as in pet, anyone remember the British comedy?) – until we meet again. Another thing for the list: brush up my Deutsch! Back to the DIY: one of my jobs has been to re-paint a couple of shelves in the bathroom as the paint had peeled off in two sections where a bottle of essential oil had spilt. I duly went into the shed for the vile oil-based enamel paint that the rip-off painters (see https://thisquirkylife.com/2014/06/24/renovations-stopped-play/) had used back in July. Then I put on some really old clothes, set up the dust sheets, did a bit of light sanding, pulled on a pair of special gloves (last time I got paint all over my hands and even my nose!) and did a reasonable job only spilling a bit of paint on the glass shower screen. Once completed, I felt proud to have done the job and celebrated by taking Bertie to the park. I met a fellow dog walker and apologised for smelling of turps. She said she couldn’t smell anything but noticed I had quite a bit of paint in my hair… It never ceases to amaze me that I am perfectly competent in many areas of my life but develop Mr Bean-like tendencies when it comes to home maintenance. In between the freelance writing, I’ve also done some cooking (got my former (elderly) neighbours for morning tea this weekend), cleaned my high maintenance black and white bathroom floors, went to ALDI, op shops, second-hand furniture shops, prepared my spare room for next week’s Airbnb photo shoot, cleaned up my garden and leaf-strewn carport and took photos of my house to show folks back home. I also put up three small pictures in my guest bathroom (a few holes short of precise but my bodged attempts were easily covered) and then zipped off to JB HI-FI for new back-up drive (the old one died) and an HDMI cable so I can watch films playing on my computer on the TV screen. All very satisfying stuff but rather helter skelter, achievement-driven and rushed. So I’ve been delighted by the series of beautifully written and well observed blog posts from a friend who is a WWOOFER (Willing Workers On Organic Farms) in Japan. She’s living with a very eco-minded family who have a deep connection to the land, observe rituals and live with precision, total attention and mindfulness, qualities that are uncommon in today’s ego-driven materialist world. Her blog is called A Man, A Woman and Four Languages, and I thoroughly recommend it. How do they get anything done when it all takes so long? I asked her over email. She replied “most of their life centres on the basics of growing, cooking, cleaning, washing, heating, maintaining. And these tasks aren’t chores to be completed as fast as possible; they are the stuff of life, i.e. the end as much as the means. ….doing jobs as quickly as possible isn’t the point. I really must hurry up and look at self-publishing my book titled, SLOWING Down in the Fast Lane: From Adventure to Zen and Everything in Between. I’m beside myself with excitement! I’m planning a trip back to England in October to see my parents and family and then tacking on an eight-day European adventure. It’s such fun organising it all and I have already imagined myself sitting in atmospheric cafes, walking along cobbled streets, wandering around ancient churches, tuning into different languages, browsing street markets and more. Although living in Australia I’m next door to Asia, it’s Europe that steals my heart. I haven’t been over to the Northern Hemisphere since December 2012 when I spent three nights in Copenhagen on my way to England. It was December and yuletide was in full swing. I felt as if I were in a Winter Wonderland and relished every minute. This time I had planned to return via Ljubljana, the capital of Slovenia. A small and compact city, it would have been perfect for strolling around and soaking up the Central European vibe, but the flight times from London were limited and at anti-social hours. So where else? Berlin continues to be all the rage but I wanted somewhere that wouldn’t bring on a full-blown attack of guidebookitis. (see my post: https://thisquirkylife.com/2013/10/12//). Then I remembered that I had read about Krakow being the 7th and newest UNESCO City of Literature joining Melbourne, Edinburgh, Iowa City, Dublin, Reykjavík and Norwich. And, of course, it’s Poland’s second largest city and stuffed with historic interest and significance – from the largest medieval plaza in Europe and Kazimierz (the old Jewish quarter) to countless churches and ancient tombs, a vibrant arts scene, a still-functioning salt mine and, of course, Auschwitz nearby. I managed to get the second last thirty pound fare on Ryanair from London and, through Airbnb, I’ve booked into an artsy and affordable attic room in a share house in the old part of town. One of the hosts is training in Traditional Chinese Medicine (right up my street) and dances the Tango in his spare time, and the other is a landscape architect specialising in community projects. Reading the many enthusiastic reviews they sound like wonderful people to engage in conversation, but they also appreciate peace and quiet and do yoga in the mornings. I know I am going to love it there. From Krakow I am heading to Vienna for just under 24 hours and from there I will get the train to Zurich. Researching hotels in Vienna and what’s on at the Opera brought back all sorts of bittersweet memories from my au-pairing days in 1982. When I worked in publishing in London in the 90s, I contrived to spend a day in Vienna after a sales trip to Germany. I think I met with a couple of publishers and then found time to go back to the street where my erstwhile employers lived. With a thumping heart I rang the doorbell but no one was home. Perhaps just as well. After all, we didn’t get on that well; I gave my notice in half way through and then had to grovel my way back a week later when things with a new family across town didn’t go so well. Although they had seemed much more fun, less stodgy and starchy, and the children were older and capable of more sophisticated games than Mr Wolf, I hadn’t reckoned on a fur-shedding cat taking up residence on my bed or that a very bossy and imperious cook with orange hair and thick blue eye shadow ruled the roost and wrote all the rules. I was highly allergic to cats in those days, something the red-haired cook used to her advantage. That and endlessly comparing me, unfavourably, to the previous au pair. According to my research on Google the father of my original employers is still living in Reisnerstrasse, but this time, inspired by a phrase a friend sent me: “the past is for reference not residence,” I won’t be retracing my footsteps. Instead I’m staying in a wonderful-sounding old-style hotel called Pension Suzanne right in the centre of Vienna opposite the Opera House. I’m really curious to see what modern day Vienna is like. Is it still a bastion of stiff manners, etiquette, snobbery (the family I worked for were minor aristocracy) baroque interiors, quartets playing Mozart and lots of strudel, noodle soups and sachertorte? 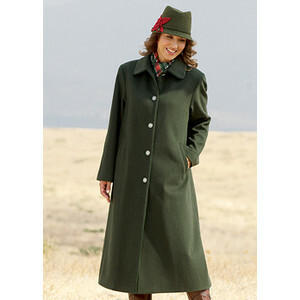 And are the Viennese of a certain class still wearing the green Loden coats and hats with brushes on? Scanning what’s on in November, I see there’s still plenty of theatre, opera and classical music performed in historic costumes in ornate salons, but there’s also Mamma Mia, Mary Poppins and Lady Gaga. I think I’m going to find Vienna much changed! When the going gets tough there’s no better distraction than escaping back into a rose-tinted version of the past via a soak in my aforementioned claw-foot bath. I’ve had some tricky work on of late; the kind of work that turns into an all consuming worry, so much so that it’s almost impossible to do your best work. A bit like the housemistress at boarding school who shone a torch in my eyes to check I was asleep, the manager of one particular job made me feel a bit like the proverbial rabbit in the headlights. Who likes a drink or two. At a shrimp in watered silk. Then I went back to Vienna as there was more to explore. This time I found sachets of sugar brought back from a trip to Hungary along with some pretty stamps and a map of Lake Balaton, a flyer from Cafe Schwarzenberg in central Vienna where a friend and I once forgot to pay for our hot chocolates and never went back to correct the error (tut, tut), tickets from the opera (it seems I upgraded from a Stehplatz (standing place) to a 50 Schilling seat with a restricted view on one occasion, a beer mat from a restaurant in the shape of a fish, and a brochure of the beautiful Gmundner Keramik range (http://www.gmundner.at/en) – I gave my mother a jug in their Streublumen pattern back in 1982. Only last year I found two matching pieces in the trash and treasure market in Bentleigh – a napkin holder and a candle holder. How small the world can seem. Then there were more letters – from a boy who had met me in a plane on the way to a French exchange in Paris and wrote to me a year later because he was bored, from Jerry with whom I had my first kiss. He was mad about me and maddening with it. Everything in his world was either goofy or neat and he would score things out of ten on a goof-o-meter or a neat-o-meter. Needless to say, a P.S. on his letter dated 18th August 1978 ran: You’re very neat – 10 out of 10 on the neat-o-meter. I think I would have been very happy as a museum curator poring over historical documents, objects, letters and eye-witness accounts of lives and events. I think I may have found it more fulfilling than working as a freelance writer where every assignment involves writing to order and strict word counts and deadlines; it’s all so very straight-jacketing and left brain. And it’s a shame I’m not famous because I have enough letters, diaries and journals to write a memoir or series of memoirs. I had such fun last reading snippets of travel diaries: “For lunch we had very French prawns as their uncle had caught them and they were boiled alive.” (I was 14); “V.brash people on the plane – as soon as we were in the air they got out their booze and got rather pissed and smoked in the non-smoking areas. One man came and plonked himself on Dad’s knee.” (This on a trip to Southern Spain with Mum and Dad in the 1979/80). 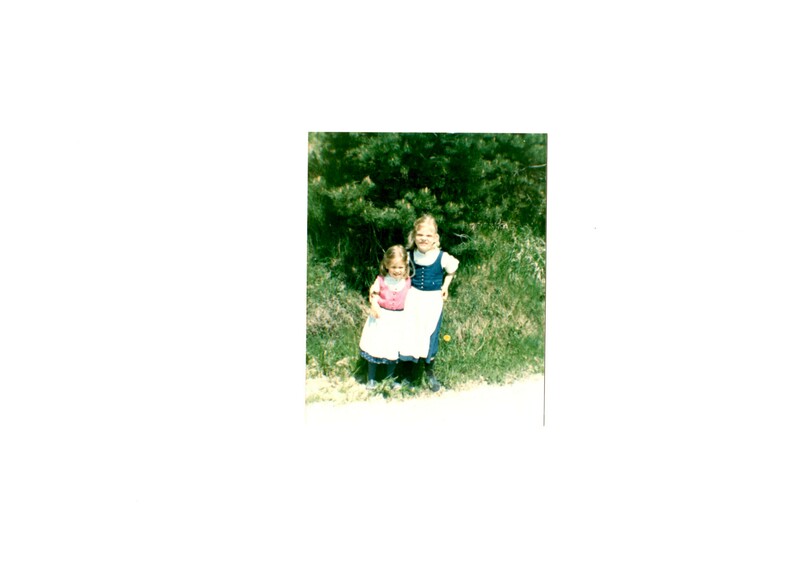 On that same trip the oven blew up singeing the front of Mum’s hair and we were offered the ubiquitous flan, as in crème caramel, for dessert every night! Then in 1995 on an organised tour of “Middle Eastern Highlights” I got a bit stuck with Pete from Sarfend (Southend) – “Pete danced just like a hippy, holding onto his belt and diving forwards or playing an imaginary guitar.” I also mention a character called David, a teacher from a smart boys’ school who wore his jacket and tie teamed with a woolly hat even when we went on rugged walks. But most annoying of all was Bob who, swot-like, had read up on all the Dead Sea Scroll literature, barged into every conversation, demanded ketchup on his eggs every morning and insisted on ordering beef at every restaurant as he couldn’t eat it back home due to the BSE scandal. But the thing I enjoyed most in my home-made museum was my autograph book from the 70s. We all used to write poems and witty verses in each other’s books. I suppose that today we would be uploading pictures to Facebook and madly liking each other’s posts. 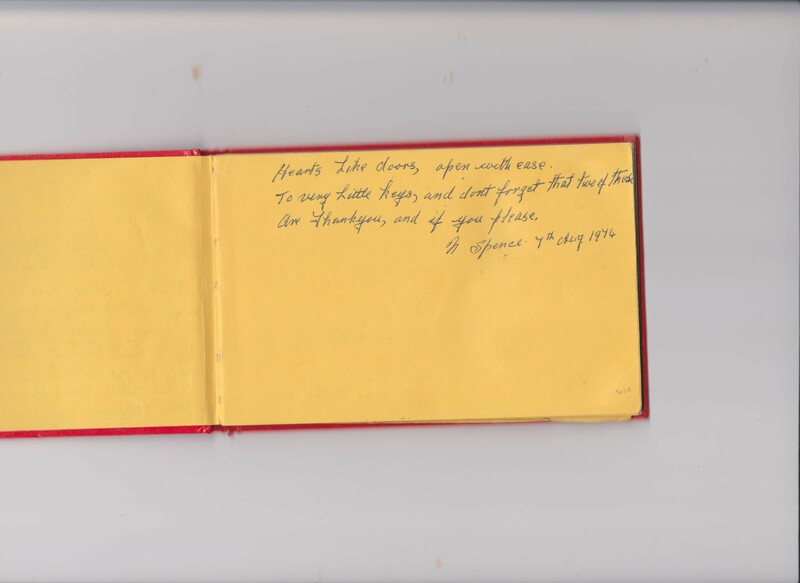 How much more treasured is a little book with orange-coloured pages filled with signatures of my erstwhile classmates and people around me than a here-today-gone-tomorrow online post? Most of the rhymes concerned lavatories, lovers and garden gates (love may be blind but the neighbours ain’t), boys, the physics teacher or worse, but they were all harmless and affectionate fun. One of my favourites is from an elderly man who lived in our village – Norman Spence. At last I return to my blog. This time it was work that stopped play. I’ve had a couple of assignments that have proved tricky and overwhelming. From an article on aged care legislation to a government tender and a newsletter for a university, they’ve all been a bit dense, brain-clogging and writers’ block-inducing. Anyway, today I’ve come up for air and, so far, have celebrated by going out for lunch at one of my favourite cafes and reading the paper over a bacon and egg sandwich. There’s some so comforting about bacon and eggs – I think it must hark back to childhood. Talking about childhood, I’ve now got to the fun bit of my home renovations and am unpacking boxes of ‘stuff’ (there is no better word) that I shipped from the UK about 18 months ago. As well as books, plates, ornaments and decorative bits and bobs, there’s quite a bit of memorabilia. The Life Laundry gurus might disapprove but I’m really happy that I held onto some treasured items before I moved to Australia. Unpacking them years later (I was too deluged with work to celebrate but, as of last Wednesday, 9th July, I’ve been in Australia for ten years) I’ve smiled, laughed, cried, felt amazed, incredulous and deeply respectful for times past. I’ve got quite a few letters spanning about three decades – remember those beautiful hand-written items we used to pop in post boxes before electronic communications took over? I’ve got some of the first letters I wrote to my parents in the late 60s when they were away and I was staying with family friends. The spelling is atrocious, there are no punctuation marks anywhere and the words on the page are jumbled reminding me of magnetic scrabble letters on a fridge. 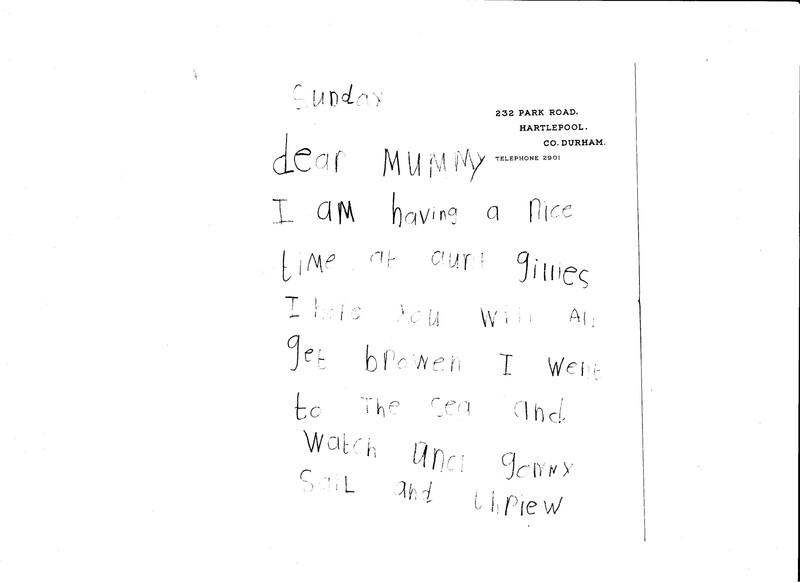 But I’d been to the sea and thrown sticks for the dogs and was excited about going with Susie and Gillie to the laundrette and having hot chocolate from a machine. Then there are letters I wrote home from my brief stay at boarding school (where I was miserable) telling my parents: “I love Queenswood. It’s just at night the people in my dormitory talk till about half past ten and when the horrid old house mistress, who is equal to the size of four elephants, comes along at night she says I should be asleep otherwise I’ll have to go to the doctor for some tablets.” Later on I insist: “I am extremely happy here,” and I concluded another letter by saying: “Don’t forget I’m tremendously happy here.” Methinks that I did protest far too much. Letters from both grandmothers brought tears to my eyes. My maternal grandmother told me she was expecting lots of guests over the summer and shared her menu plans with me. Memories of her signature dishes came flooding back. I must ask Mum for the recipe for Granny’s Bombe Surprise made with blackcurrants. A tactful letter from a boy I had a crush on in my teens let me down gently by asking about my love life and sharing holiday plans to go to America where there would be “lots of lovely girls! !.” Another male friend (I wonder if he ever realised I had a thing about him?!) wrote me a long, long letter in 1978 full of his pre-university adventures (toad racing, potato picking and meat packing) travelling up the East Coast of Australia. He sent me a special full-colour fold-out souvenir of the Great Barrier Reef (when it was still pristine) and apologised for his writing style: “Out here everything is said backwards or abbreviated.” He was in Queensland at the time… Little did I ever dream that I would end up living in Australia! Back then it was a faraway land, dry and dusty, and full of kangaroos called Skippy. I’ve also got many of the letters I wrote from Vienna in 1982 when I was an au-pair girl for a family. A bit like at boarding school, I was terribly, terribly homesick not helped by the crushing routine of having to walk the two little girls every morning in the Stadt Park whether it was minus five or plus 30 degrees. But I did enjoy Vienna itself and still have programs from the Opera House (Carmen, La Bohème, Arabella etc) complete with the playlist for that day. You could get a standing ticket for six Austrian Schillings – a bargain! 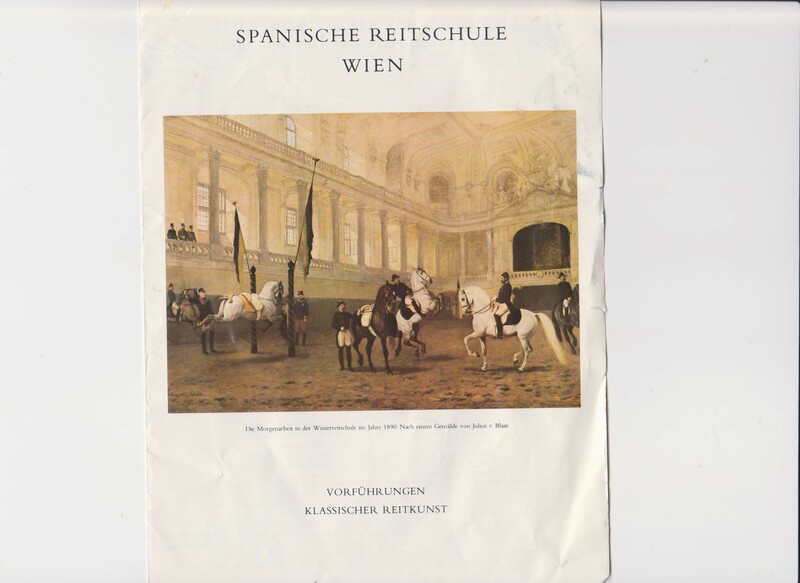 I’ve also got programs from the Volksoper (the less fancy ‘people’s opera’ where I went to operettas by the likes of Offenbach), brochures from Schönbrunn Castle, a poster advertising a Festival of Clowns, a postcard of the Prater (the famous Ferris Wheel) and a glossy program from the Spanish Riding School (those wonderful Lipizzaner horses). 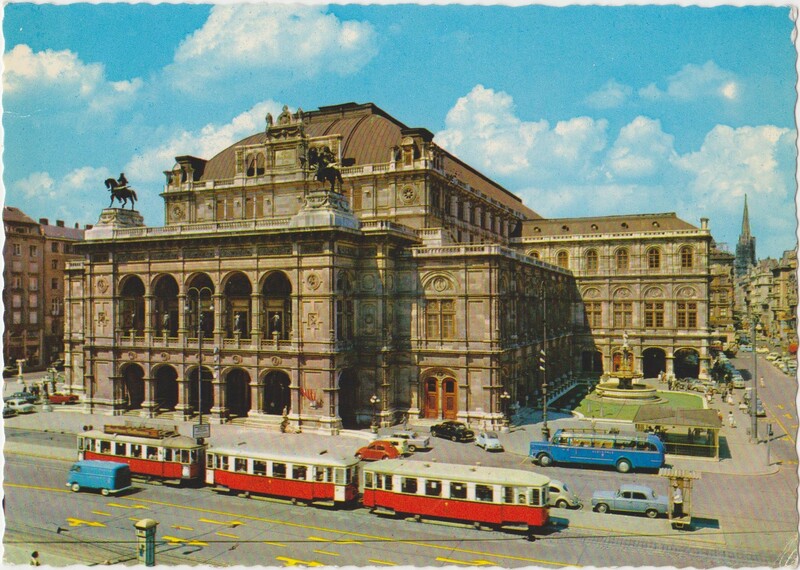 The Opera House Vienna – this postcard looked dated even in the 80s! There are years of diaries in my boxes including a lockable five-year diary that I wrote for three years, love letters, papers and magazines marking special occasions such as Royal Weddings and much more. Some of it will undoubtedly end up in the attic or the shed and I’m not mourning the things I threw out – such as folder of beer coasters and matchboxes of every restaurant I went to in California in 1984 – but I’m happy to have created a small and meaningful time capsule.